Do you have a broken window, dual-glazed windows with permanent fog, or other problems with window glass? 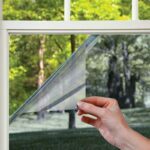 Here are easy instructions for replacing a glass pane, removing scratches from window glass, and more. Tape window glass so it doesn’t break away, and then use a heat gun and scraper to soften and remove the glazier’s putty. Though window glass tends to serve for years without the need for repairs, something bad occasionally happens to a window—like a baseball gets thrown through it. Here we look at how to replace broken window glass, as well as other repairs like scratches and condensation between dual-glazed panels. Repairing a cracked or shattered window pane is an easy repair, especially if the broken pane is relatively small. 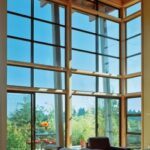 For large panes or dual glazing (or other high-performance glass), it’s usually smarter to call a glass dealer. In most cases, a special pane will have to be ordered—you’ll want to have the replacement on hand before your remove the old pane. The first thing to do is remove the broken glass. 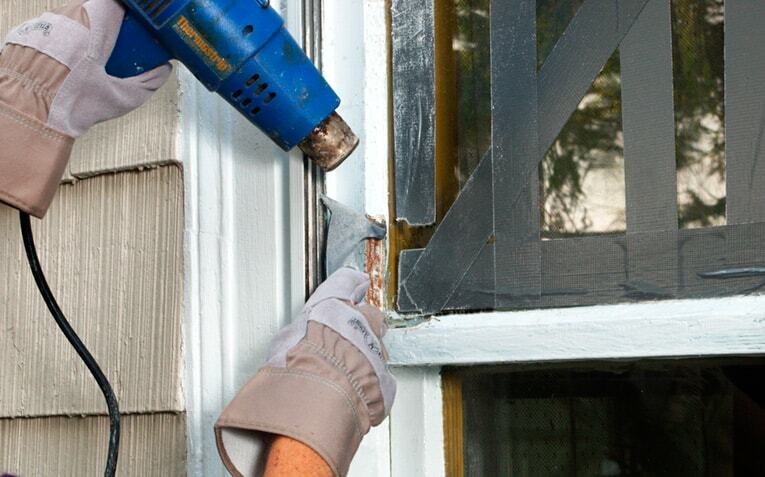 Tape the cracked pane with a cross-hatch of duct tape to prevent glass shards from falling out as you work. Be sure to wear safety glasses and heavy gloves when working with glass. If necessary, you can work on the window from outside, standing on a ladder. But if the window is in an upper story, it’s safer to remove the sash. Again, you’re probably better off calling a pro. When replacing a window pane, try to buy the same kind of glass originally installed in the window so it will match the glass in the other panes or other windows in the room (this may not always be possible if you have an older home). Take a shard to your hardware store and ask your dealer to match any coatings or other features. Be careful when you work with glass, whether large panes or smaller pieces. Before you remove any broken glass, tape newspaper to the inside of the sash to catch any fragments. Also pad the glass with newspaper when you take it to or from the store. Dispose of fragments in your regular trash; window glass usually can’t be recycled. 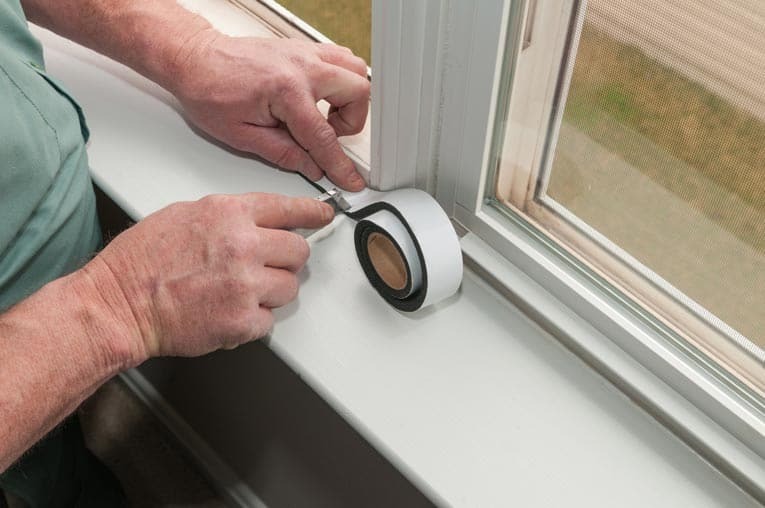 For installing a new pane in wood windows, you’ll need glazing compound (putty) to hold the glass in place, in addition to glazier’s points—small metal clips that you push into the wood every 4 to 6 inches. You’ll also need a 5-in-1 tool, putty knife, long-nose pliers, a chisel, a hammer, safety glasses, newspaper, masking tape, a small paintbrush, and a glass cutter (if the glass hasn’t already been cut to size). First remove the old glazing compound. After removing the broken glass, chisel out the old putty (if it’s hard, you may need to soak it with linseed oil or soften it with a heat gun). Remove the old glazier’s points with long-nose pliers. Clean and sand the wood, and coat it with wood sealer. Press a rope of putty around the opening with your fingers and a putty knife to make a bed for the new pane. Put the pane in place and remove any excess putty. Push the glazier’s points into the frame with a putty knife. 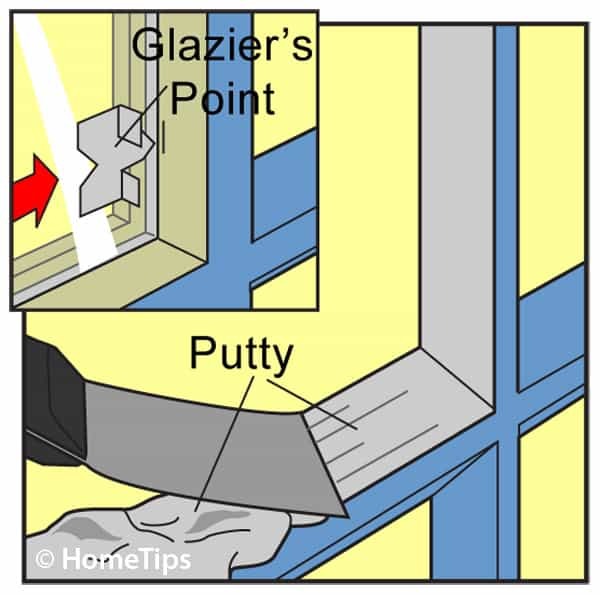 Hold glass in place with glazier’s points, and then smooth new glazing compound at an angle, using a putty knife. Apply more putty around the pane and use the knife to form a tidy seal. When the putty is dry, paint it to match the sash. Glass in a window with metal or vinyl sash is held in place with a metal spring clip, a rubber seal, and metal or plastic moldings. This type of window can be reglazed by simply removing the parts that retain the glass, pulling out the old glass, inserting the correctly sized new piece of glass into the sash and replacing the parts that hold it. To replace glass secured with rubber seals, unscrew the two sash halves and remove the inside one. Brush out glass fragments, set a new pane against one sash half, replace the other half of the sash, and secure the sash parts with screws. 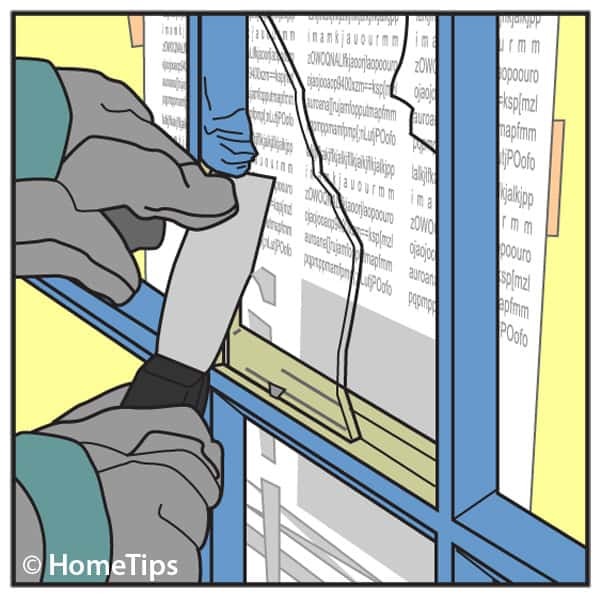 If the glass sits on a continuous rubber gasket (or four separate ones), remove the screws from a vertical end of the sash, and pull the end away from the sash. Clean out the old glass, and then pull the gasket around the new pane; slide the pane into the sash, and secure the end. To replace glass in a sash with snap-out moldings, loosen one end of a piece of molding by inserting the tip of a putty knife where two ends meet. Pry gently, using the frame for leverage. Pull out the loosened strip of molding. When you have replaced the pane, push each molding piece into place with your hands. Pieces damaged during removal should be replaced. Because windows are usually the coolest surfaces in a house, they may collect condensation in winter, when outdoor temperatures are low and indoor air is warm. These conditions encourage mold and mildew and can cause window frames and sills to rot. To reduce condensation, increase ventilation—just using bathroom fans and kitchen fans can make a big difference. Also keep showers short and run only full loads in washers and dishwashers to reduce indoor humidity levels. If condensation forms between thermal window panes, there is, unfortunately, no cost-effective way to remove it; the glazing must be replaced. Your best bet is to buy quality thermal windows that are backed by a strong warranty (at least 10 years). One mark of quality is “IGCC approved,” a certification given out by the Insulating Glass Certification Council. For an unsightly scratch in window glass, try applying a coat of clear nail polish. Remove the excess with nail polish remover on a clean cloth. Another option is to buy a very gentle metal polishing compound, such as Brasso, and polish out the scratch with a soft cotton cloth. This takes a lot of elbow grease and you do run the risk of creating tiny abrasive scratches. Old glazing compound can become brittle and fall out. When this happens, air can leak in around the glass panes or—worse—the glass can fall out. To replace glazing compound, see Wood Windows, above.